If we've not got it, forget about it! Serving the public for 58 years, we must be doing something right! 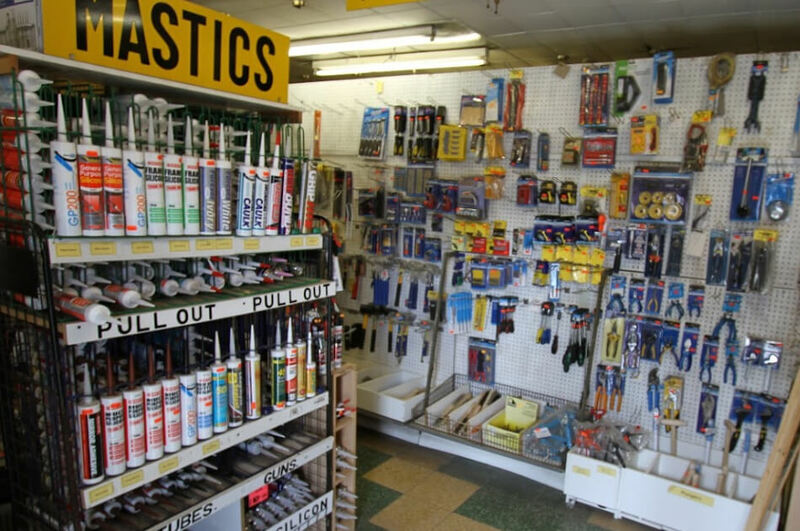 Here at Browns of Leigh our staff offer a personal one to one professional service that simply can not be found in some of the larger stores. Whatever you want or need we can do it. Along with this our after-sales service is second to none which is probably why we have been here for over 50 years! Come in today and we're sure you will be amazed at what we have to offer. Fitted kitchens, Bathrooms, Tiles, Doors, Timber, D.I.Y, Wardrobes, Gates, Units, Hutches... the list goes on. We can do everything following our free call out service! Following our free call out we then offer a full design service. We then order exactly what you will need quickly followed by a full fitting service by our own in house team, things are kept easy as you will only ever have to deal with one person! 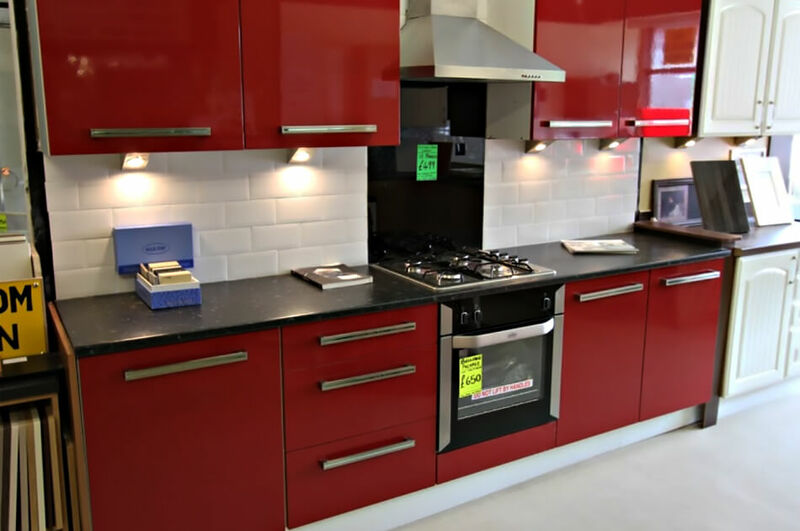 As an alternative to a full kitchen refurbishment, we stock 100's of styles and colours of kitchen doors and worktops and if you need anything fitting all work can be completed by our in house team. "Fantastic service and very helpful and professional staff. 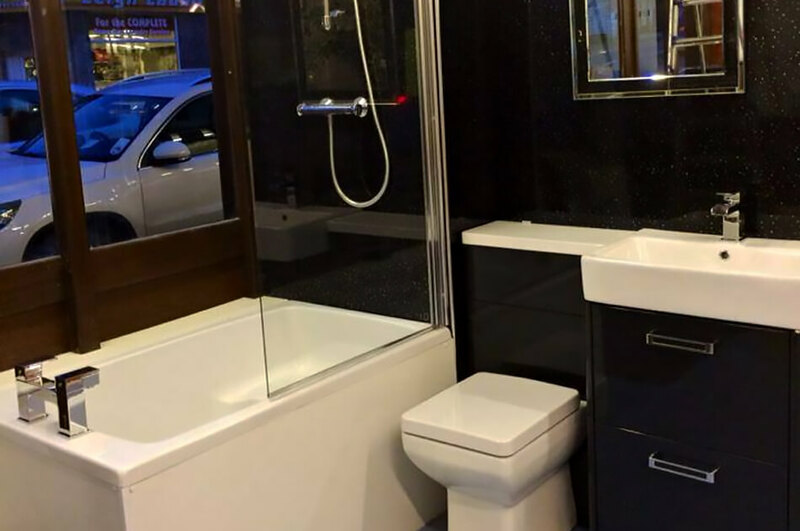 Thank you"
We conduct full bathroom replacements with your chosen, quality materials, whether it is built in bespoke bathroom furniture, wet walls, shower units, baths or anything else we can make everything 'made to fit' to your exact space. Along with our other services we always include a removal of rubbish service, leaving you no mess to clear up after our specialists have visited. 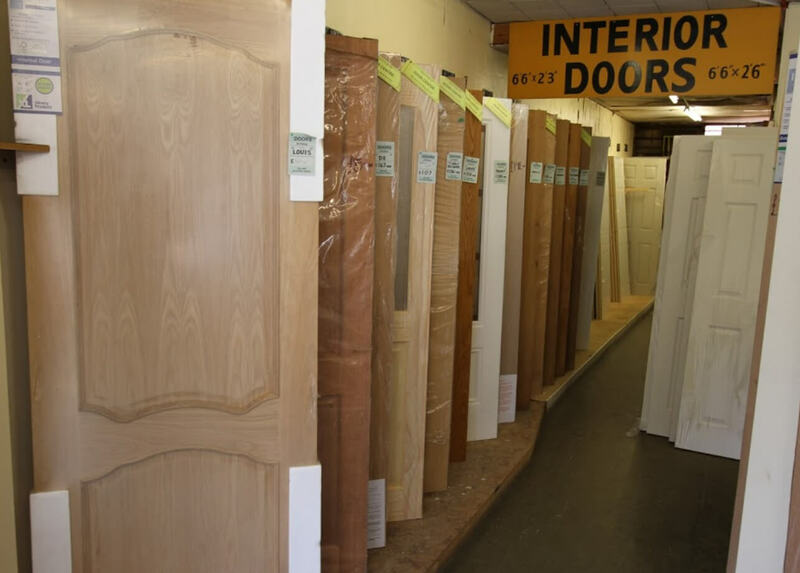 "Family run D.I.Y store, friendly staff and reasonable prices"
We sell a wide range of Internal & External Doors and offer full fitting services. We specialise in supplying and fitting quality solid doors, discounts are available on handle packs when you purchase a door. Call in today for a brochure. We offer a bespoke service to suit your exact needs. If you need it, we can make it! Cut to any size you like! 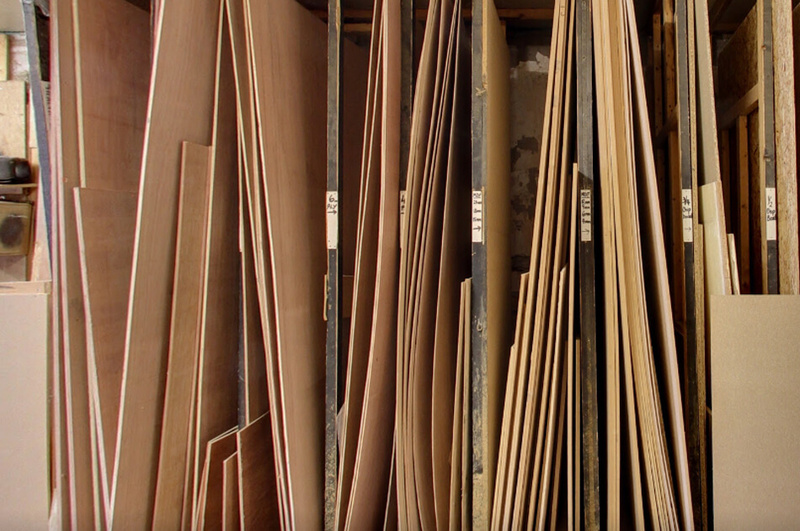 We sell a huge range of sheet wood, plywood, MDF, Sterling Board & more. If you are in need of any length/size of timber, Floor Boarding, Skirting Boards, Banisters or Balustrades then get in touch today to find out more about our full cutting service and the range of timber we have in stock. "Always very helpful and have almost everything you could need"
If we've not got it, forget it! 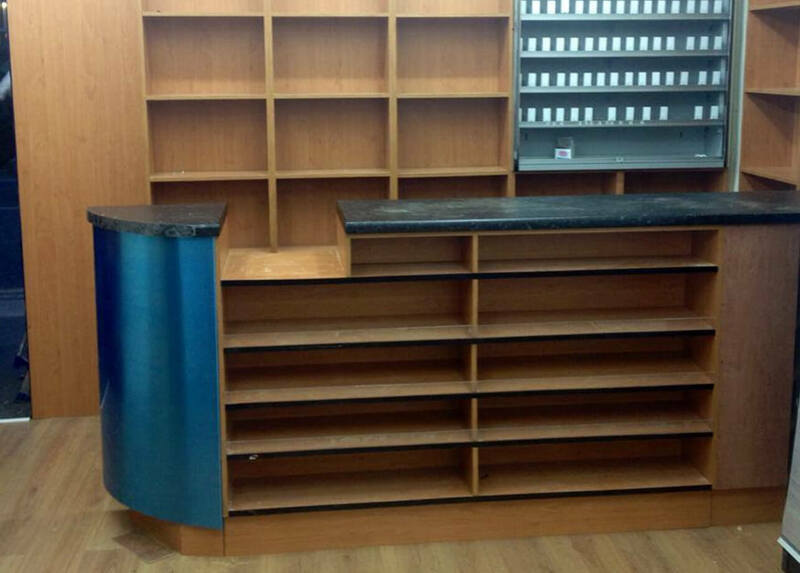 "Awesome store, friendly and helpful staff, quality products." We're always happy to help and we offer a free call out service! Browns of Leigh | All rights reserved. Browns of Leigh is committed to ensuring that your privacy is protected. Should we ask you to provide certain information by which you can be identified when using this website, then you can be assured that it will only be used in accordance with this privacy statement. Browns of Leigh may change this policy from time to time by updating this page. You should check this page from time to time to ensure that you are happy with any changes. This policy is effective from July 2018. If you have previously agreed to us using your personal information for direct marketing purposes, you may change your mind at any time by writing to or emailing us at brownsdiy@me.com. You may request details of personal information which we hold about you under the Data Protection Act 1998. A small fee will be payable. If you would like a copy of the information held on you please write to 13-23 Leigh Road, Leigh, Lancashire, WN7 1QZ.